The U.S. Women’s National Team has guaranteed that when the puck drops at Little Caesars Arena Sunday, Team USA will be playing for a 2019 Rivalry Series victory – at the very least. In the first of a best-of-three tournament on Tuesday night, Team USA recorded a 1-0 victory over Canada at the Budweiser Gardens in London, Ont. The two squads will meet in Toronto on Thursday before the series conclusion plays out in Detroit on Sunday; that game starts at noon E.T. at the home of the Red Wings. Depending on the outcome of Thursday’s contest, Team USA will either be playing for a sweep or tiebreaking victory when the Rivalry Series comes to Hockeytown. Sunday’s battle also serves as one of the kick-off events for the 2019 Hockey Week Across America (more details on that, here). 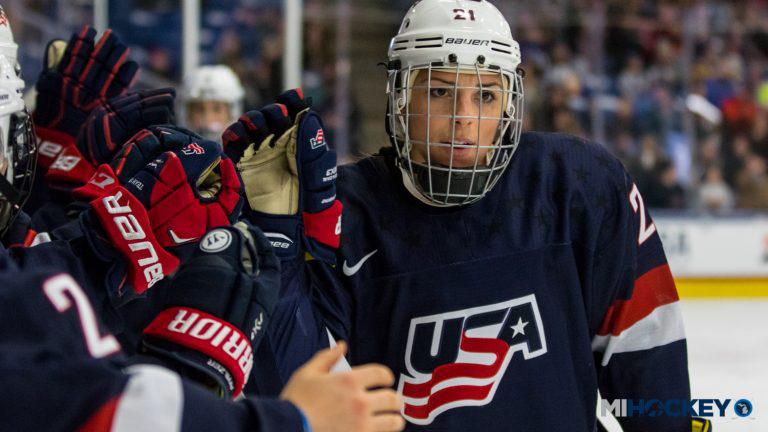 As far as Tuesday’s game goes, Team USA star Hilary Knight scored the lone goal, while Alex Rigsby stopped 33 shots in a shutout performance.